← Boston 2024 Olympic bid: we could – but should we? Hmm, the country has an authoritarian regime, a Communist credo, a record of human rights violations, no open elections or free press, and we’re liberalizing relations with it? How can we do that? Well, it worked with China, Richard Nixon’s legacy foreign policy initiative. And Vietnam too. Why not with Cuba? To paraphrase President Obama, our hardline embargo and lack of diplomatic relations for five decades hasn’t dramatically improved political conditions in Cuba. Why think that continuing the approach will bear positive results. New, more relaxed regulations have still to be worked out in a whole range of issues. What will be the rules for U.S. businesses eager to tap new markets? What will be resolved regarding lands confiscated by the Castro regime, many owned by people who are now American citizens? 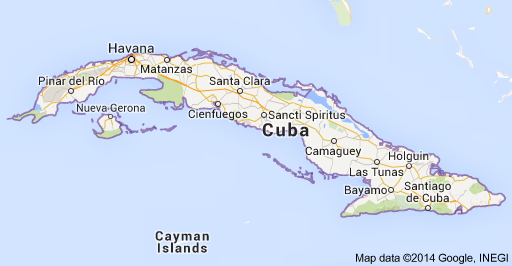 Will Cuba be taken off the list of state sponsors of terrorism? Oddly, North Korean was taken off, while Iran, Syria, and Sudan are on. We do have diplomatic relations with Sudan. Consistency has never been our strong suit, so why fear flexibility in Cuba relations? This move toward normalization shouldn’t come as a surprise. President George W. Bush had allowed some limited medical supplies and agricultural products to go from the United States to Cuba. President Obama has talked in vague terms for years about his goal of accelerating normalization. Tea readers have seen bits of evidence gathering for the last year, including President Obama’s shaking hands with President Raul Castro at Nelson Mandela’s funeral. Assistant Secretary of State Roberta Jacobson will visit Havana next month. In April, Cuba will, for the first time in half a century, attend the Organization of American States meeting in Panama. Feedback to this week’s announcement from other Latin American countries has been positive. Negative reaction from older Cuban Americans is understandable. They, and their families, suffered horribly at the hands of the Castro brothers and their compatriots. They view the President’s move as caving in before any reassurances of Cuba’s willingness to institute reforms. Younger Cuban Americans are more positive. But scalability and reasonability must be integral to what the United States does. There are immediate opportunities for cooperation. Cuba’s doctors have been poster children for the island’s health care system and have played a key role in fighting ebola in Africa. But on the home front, Cuba’s economy is shaky, with many household necessities in scarce supply. Tourism from the nearby United States, limited now to specific arts and culture groups licensed to travel there, could expand dramatically under loosened restrictions, bringing money to ordinary people to ease their daily lives, if the money really gets to them. (My husband and I are going with a “people-to-people” group this winter, a trip planned last summer. It may be too soon to use U.S. credit cards there, but, yes, we may be able to bring back Cuban cigars when we go. The embargo imposed by the Helms-Burton law in 1996 can’t be lifted without Congressional input. The real question is whether Raul Castro can make incremental moves quickly enough to reassure Congress. The release of political prisoners, including Alan Gross, is step one, but it is a step in the right direction. Years from now, normalization with Cuba could be regarded as a positive aspect of Barack Obama’s legacy. This entry was posted in Culture, Politics and tagged Alan Gross, Cuba normalization, Cuba tourism, Cuban cigars, Cuban doctors and ebola, Cuban-American opposition, Diplomat Roberta Jacobson, Fidel Castro, Helms-Burton Act, Obama initiative on Cuba, Organization of American States, people-to-people travel in Cuba, Raul Castro, trips to Havana. Bookmark the permalink.